Extend the range of your wireless network with the Huawei WS320 EU WiFi Repeater / Booster. WiFi may very well be among the best inventions of modern world, but surely it does have its limitations when it comes to range and speed. The mental note that one must keep to be under the signal coverage zone in order to use WiFi facility really bothers some people. Surely we all love getting a WiFi signal when we step into a mall or a café, but it is quite interesting to know how the WiFi signal is made available all throughout the area. The answer is simple; use of devices called repeaters at several places which modulate the signal from the WiFi source and makes it accessible to all parts of a facility. These telecommunication devices receive signal and enhances them before they retransmit it to somewhere else. This way, the signal from one strong WiFi source can be made accessible to places beyond its predefined limits. One such state of the art repeater is the Huawei WS320 Wi-Fi Repeater. Be not fooled from its small size because when it comes to performance, it packs a lot of strength backed up with a long range. 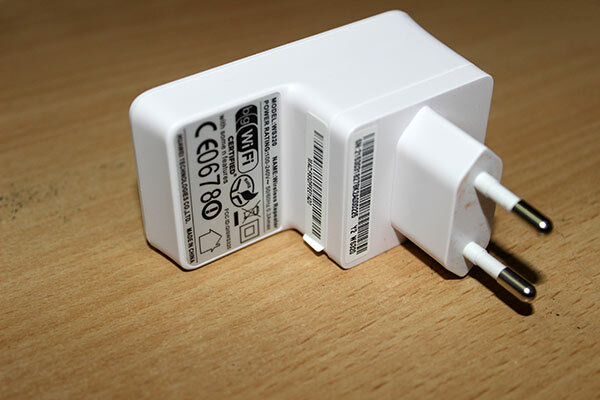 The model is a small plug in type installation device with a 2 pin EU plug system for an AC power source. 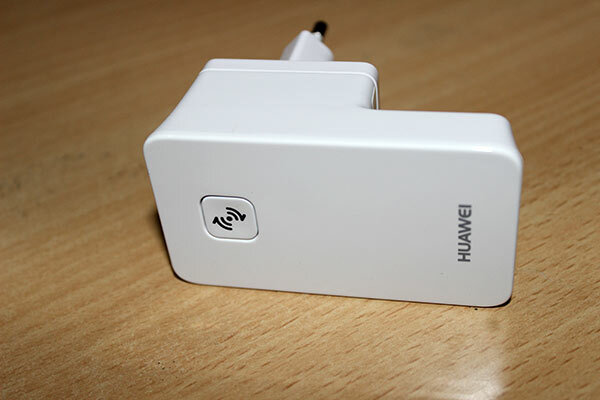 Huawei WS320 wifi repeater weighs around 70 grams, which is quite light for a task as complex as this. The voltage requirement lies between 110 to 220V. Furthermore, the device is an authentic product of Huawei and hence has a valid warranty of 1 year. With a very easy installation procedure and convenience to carry, the Huawei WS320 Wi-Fi Repeater is a very user friendly device that can be used whenever and wherever necessary. More amusing is its one push button configuration. With WPS pairing, the device can be switched on and off, all with a push of a single button. Such is its design that gives it an edge over the other models in market. It can be put into perfect utilization in a domestic or even an office environment. Evident from the trend of increased WiFi compatible device usage, customers go for better versions of electronic accessories which provide superior performance. And hence accounting for the limitation of any WiFi coverage, no matter how strong its signal is, repeaters have been put to use just to ensure continued access of network on a wider span of area. Taking an ordinary house for instance, we can point out at least half a dozen of items that uses WiFi connectivity; smartphones, gaming consoles, laptop, TV’s and many other. Point being that a single wifi source is just not enough to manage and provide network to so many users at the same time. Huawei WS30 WiFi repeater is the perfect device in that case. Effortlessly offering a range of 150 meters and more, the Huawei WS320 Wi-Fi Repeater rather approves to be an ideal device that can be used at home. WEP, TKIP AES are among the many other connection configurations that can be supported apart from common WiFi standards. Well this was just an example of what a cost effective and good quality repeater can do at domestic scale. At office levels, Huawei WS320 provides the perfect solution for extending wifi coverage without the unnecessary use of costly cabling or expensive routers. This affordable Huawei repeater comes in the shades of white and you can buy this device from mobilefun.co.uk for only $53.99. You can buy other genuine mobile accessories from the Mobilefun and they will get the products delivered within 2-3 working days! A few simple steps gets it working in a matter of seconds. Plug the device in an AC mains socket and switch it on. Now configure the existing router into pairing mode followed by pressing the pairing button on the Huawei WS320. A few seconds later the status light turns green indicating a well-established link between the router and repeater. Finally, Huawei WS320 Wi-Fi Repeater- White (EU PLUG) is a brilliant product which not only eliminates unwanted investments into other expensive devices but also plays an important role in reducing wifi black spots and provided better and amplified signals.